Being Mary Jane centers on a successful career woman (broadcast journalist) who is juggling both a hectic professional and personal life. The main bulk of the first season deals with her dysfunctional family and affair with a married man. The writing is fabulous and acting is terrific! Excellent storyline, exceptional cast and the show does a good job relating to everyday life. 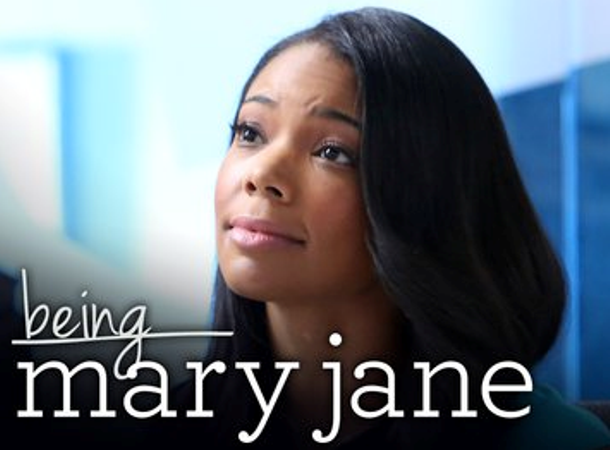 Being Mary Jane is a breath of fresh air, keeping me engaged all the way through. The second season finds Mary Jane once again taking on more than she can handle. On the home front, while both of her brothers seem to be getting their act together, her mother and niece are at war, causing everyone in the family to choose sides. Mary Jane’s career takes an interesting turn, when she decides to feature more stories about the “Black experience.” All the while, she makes a brave decision to try and conceive a child, as well as the possibility of new romance. Being Mary Jane is among other hit BET shows like Real Husbands of Hollywood, and The Game as NAACP Image Award nominees. The show was nominated in various categories including: Outstanding Drama Series and Outstanding Actor in a Drama Series (Gabrielle Union and Omari Hardwick). “Belle,” “Beyond the Lights,” “Dear White People,” “Get On Up” and “Selma” have snagged film nominations for this year’s ceremony. On the Television front , ABC’s “Black-ish” and “How to Get Away with Murder,” Netflix’s “Orange Is the New Black,” BET’s “The Game” and “Being Mary Jane” were among the top contenders. The Image Awards will be handed out February 6 in a ceremony telecast live by TV One.